Not small, not large, but right in the middle. 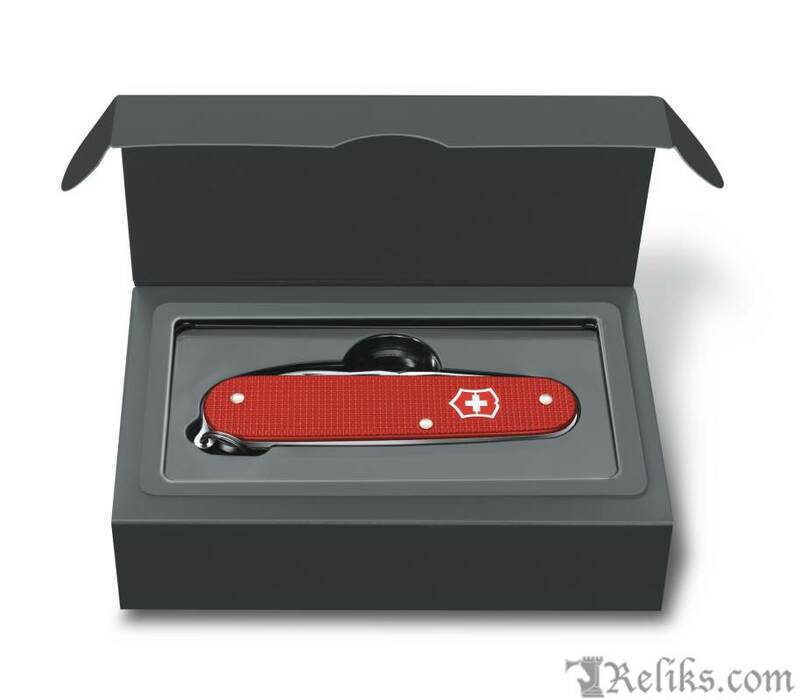 The Cadet Alox Limited Edition 2018 is the medium-sized pocket knife in this year's trio of Alox Limited Edition pocket knives. And, just like its siblings, it cuts a bold aesthetic. Kitted out in berry red alox scales, you can’t miss it. And with the specially processed scales that are stamped from aluminum, embossed and then anodized, you basically can't break it either. It’s a keeper. 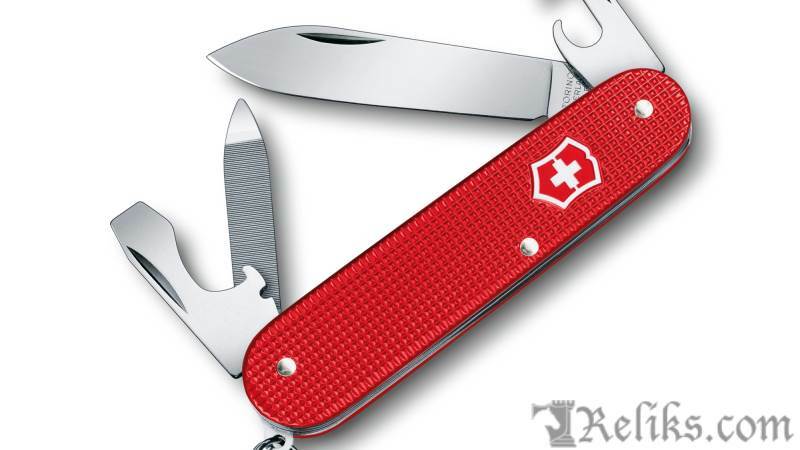 Swiss made pocket knife with 9 functions. 2018 limited edition with year engraved on back. Cadet Alox Limited Edition 2018 - The Cadet Alox Limited Edition 2018 is the medium-sized pocket knife in this year's trio of Alox Limited Edition pocket knives. 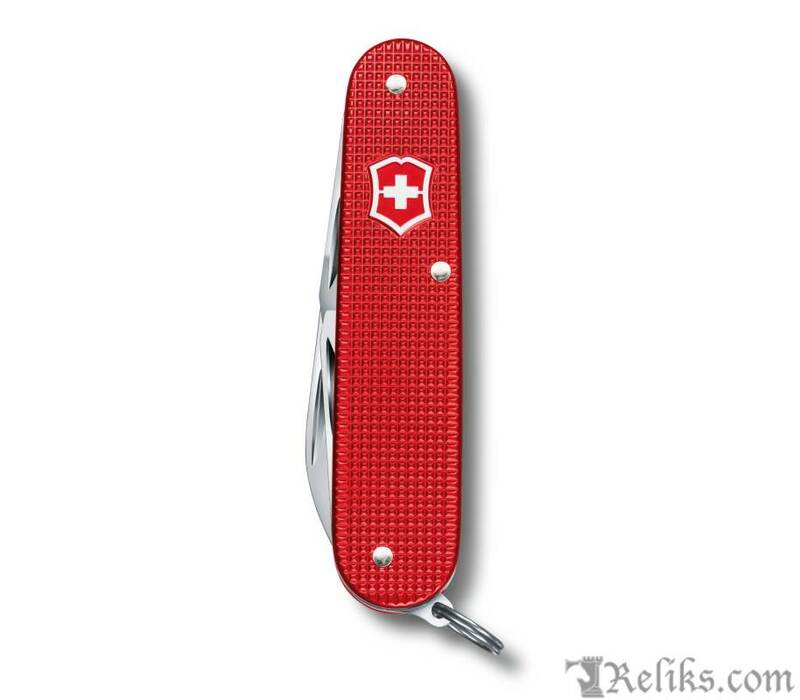 Berry Red Swiss Army Knife - Kitted out in berry red alox scales, you can’t miss it. And with the specially processed scales that are stamped from aluminum, embossed and then anodized, you basically can't break it either. 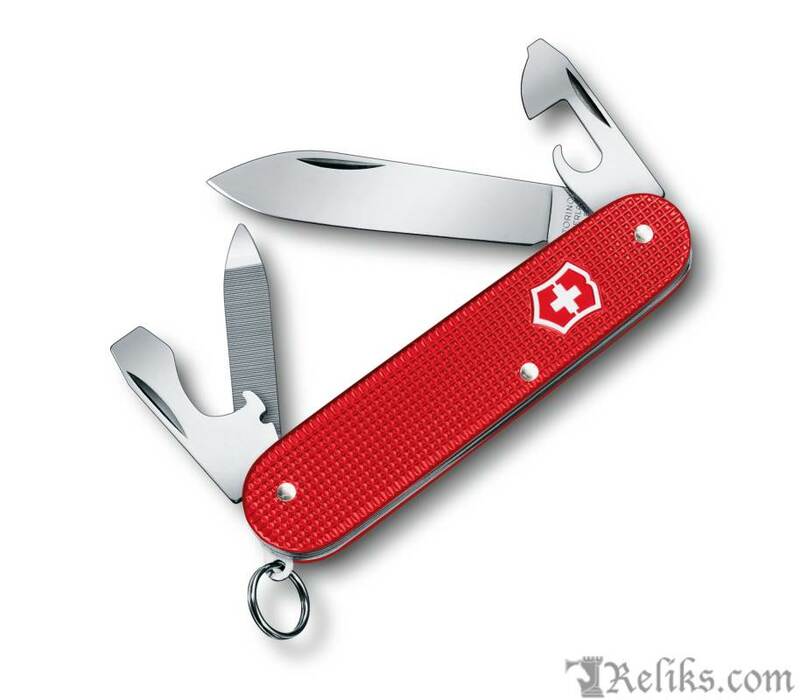 Limited Edition Swiss Army Knife - Collector's knife with high-grade Alox scales in berry red. 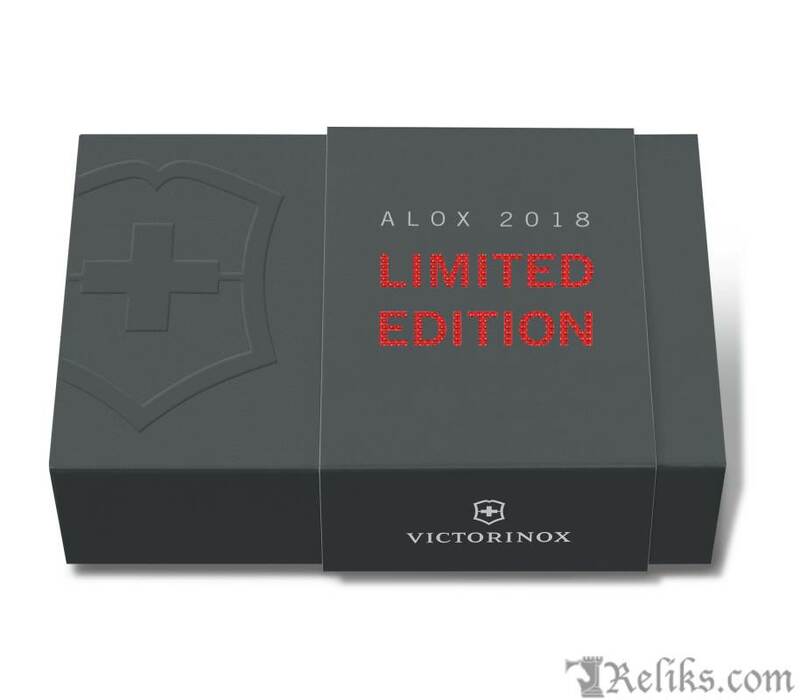 Limited Edtion Victorinox Knife - Gift Box for the Victorinox Cadet Alox Berry Limited Edition 2018 Knife.